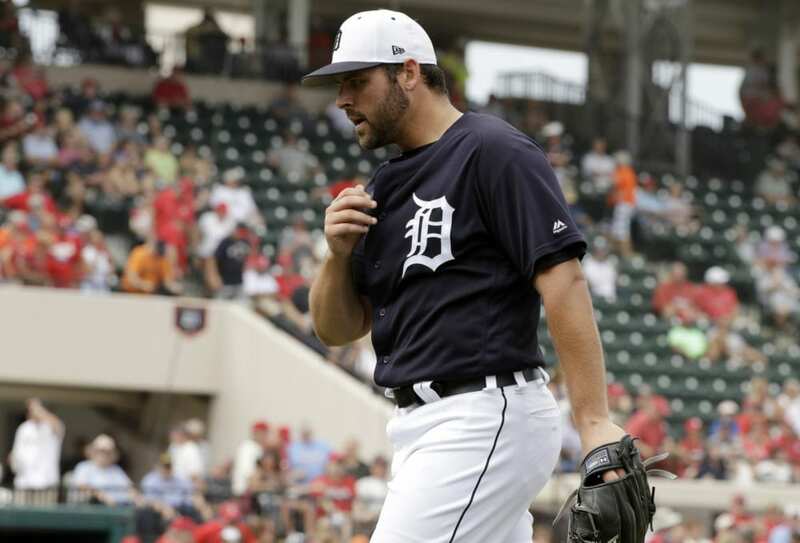 LAKELAND, Fla. (AP) — Detroit Tigers right-hander Michael Fulmer may need Tommy John surgery. The Tigers said Tuesday that surgery to reconstruct the ulnar collateral ligament in the elbow has been recommended following an MRI exam and a second opinion from Dr. James Andrews. Fulmer, who experienced elbow soreness during a recent bullpen session, will seek a third opinion. Detroit manager Ron Gardenhire said after Thursday’s 4-4 tie with Boston that Fulmer was taking “a step back to refine his lower-body mechanics” and that there was no timetable for when he would pitch again. Fulmer won AL Rookie of the Year honors in 2016 but has struggled to return to that form. He was 3-12 with a 4.69 ERA last year, his season cut short in mid-September because of knee problems. Fulmer said during the offseason that he’d looked into some mechanical issues that may have caused his knee problems. Now, he may be dealing with an even tougher prognosis for his elbow. The rebuilding Tigers were 10th in the American League in ERA last year. They still have Jordan Zimmermann, Matthew Boyd and Daniel Norris as options for the rotation, and they added Matt Moore and Tyson Ross in the offseason. Several of Detroit’s top prospects are also pitchers, including Casey Mize, Matt Manning and Franklin Perez. After his impressive rookie season, Fulmer appeared to be an important young part of the team’s future, but now it’s not clear when he might be back on the mound for the Tigers. Be the first to comment on "Tigers RHP Michael Fulmer May Need Tommy John Surgery"